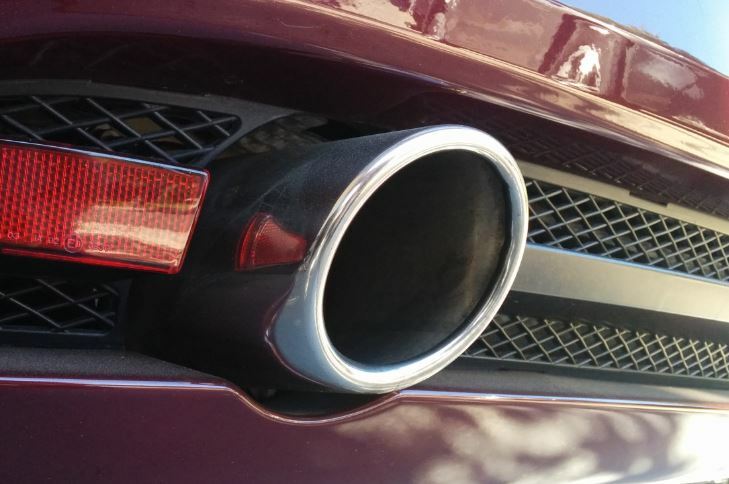 Changing the exhaust note of your Aston Martin DB9 is easy. ‘Uncorking it’ as its been called is as simple as pulling Fuse 22 from the correct fusebox. This is probably the most popular ‘tweak’ owners do to there cars. In fact, the dealerships would do this for you as you picked up your new baby. The forums are also full of questions, and myths. Does it really make a difference? How much louder does it get? Where is the fuse box? Which fuse is it? What does uncorking really do? Does it improve the gas mileage better? Does it make the car run richer at idle? What does Uncorking really do? The DB9 has a 2 stage exhaust. There is a ‘long way’ through the rear muffler box that is the quietest path. If all the exhaust is flowing through this path your car will be ‘purring’. There is also a ‘shortcut’ that bypasses the long way. The shortcut is turned on/off by a bypass valve. 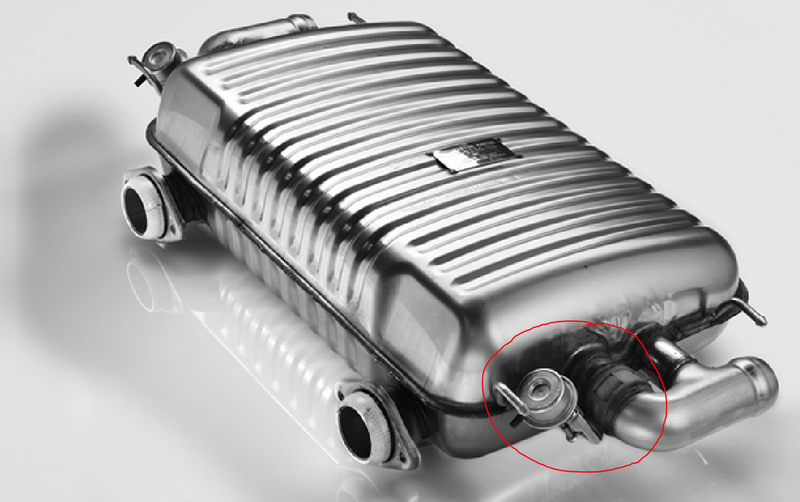 When the bypass is opened, the exhaust flows more freely out the tailpipe (skipping the restriction of the muffler), and has more of a ‘growl’ sound to it (listen to the video below). With the cork still in, the bypass is controlled by the computer to be normally closed (between about 800 and 3000rpm), and then automatically open when the engine is at higher RPMs (allowing the engine to breath easier while its working hard). If your car still hasn’t been uncorked, you actually can hear the difference right when you start the car when its cold. Have you ever noticed that right when you start it up, you get that terrific ‘GROwwllllllll’ that starts loud and then fades to a ‘Purrrrrr’ a few moments later? That’s the system at work. The bypass is open at startup, and then is closed automatically after the engine is started at low RPM. The valve is actually operated by a vacuum diaphragm (see videos below). Vacuum is used to PULL the valve CLOSED. The cars electronics only control an electric exhaust valve vacuum pump that creates the vacuum to be applied to the diaphram. The electronics don’t actually operate the valve directly. With the engine off, there is no electrical signal and thus no vacuum. 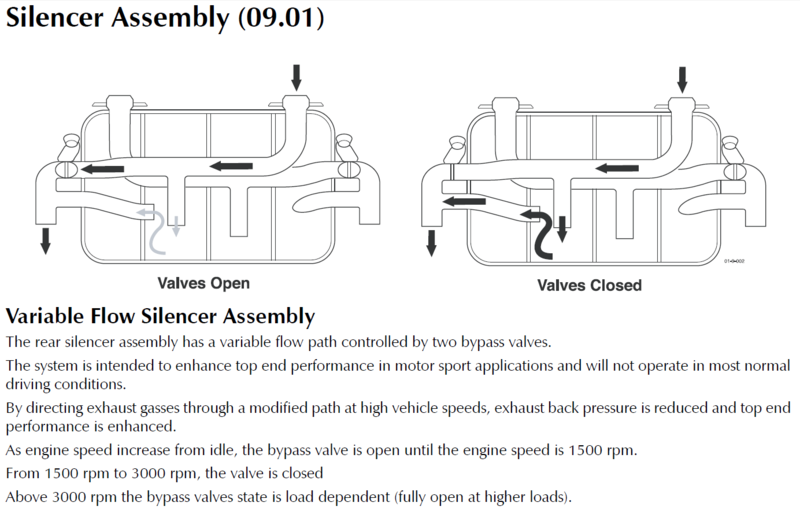 The valve itself is designed to be NORMALLY OPEN, so when parked (and off) the bypass is actually sitting in the open position. Start the car, the vacuum pump starts, the electronics kick in and tell the valve to close the bypass. Hence, this is why you can hear the uncorked sound at startup. This explanation should dispel the myth that uncorking your car is bad for the vacuum pump and diaphragm. Your car probably spends 90%+ of its time parked and off already. Pulling the cork merely changes this to 100% of the time. Since the valve was designed to be open at rest I don’t think we are doing any damage, no more than would happen to a ‘show car’ that almost never runs. This should also dispel the myth that not allowing the vacuum to flow somehow make the car too rich at idle. Presumably the worry here was that the reduced exhaust backpressure at low RPM will somehow mess with the air flow rates and fuel injection. I am skeptical of this. The engine uses a air mass flow sensor on the air intake to compute the exact amount of air entering the engine, and then adds the exact amount of fuel for that amount of air. Regardless of how freeflow the engine is running, the amount of fuel is always precisely calculated dynamically. Is it bad for the car? I doubt it. If the dealers were doing it while delivering the new car, I highly doubt it is harmful as they wouldn’t want to void a warranty. What do I need to do to uncork it? Here is the official fuse listing for the box and layout of the box. Here is what Fuse 22 looks like removed. 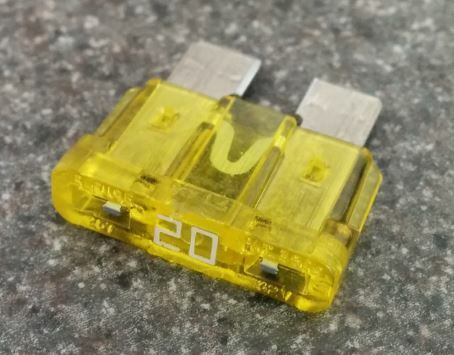 It is an industry standard Yellow 20 Amp ATO fuse. If you’ve lost it or need to replace it, you can get a replacement at your local automotive parts store for a couple of bucks (no need to go to Aston for this). 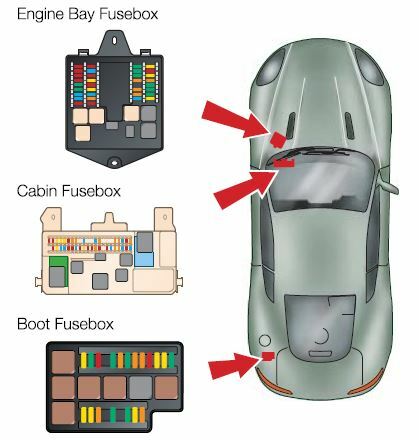 Once you have removed Fuse 22, your car (and dealer) will be aware of it. 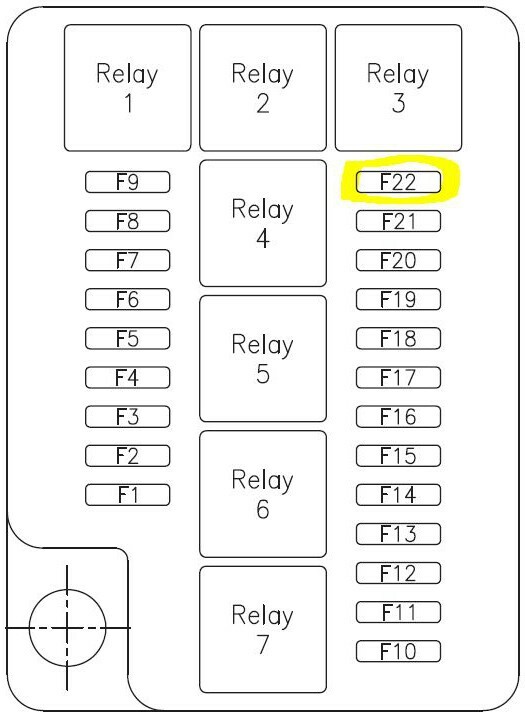 The cars Powertrain Control Module (PCM) will log the event as P1488 but will NOT turn on the idiot light (Malfunction Indicator Lamp or MIL) on the dash. Next time you or the dealer connect and OBDII reader to the car they will see the P1488, but this is normal and not an issue. Here is my video clip of accessing the fuse box and removing fuse 22. Wearing a mechanic cam (I needed my hands free) so I apologize for the camera motion and positioning. How much louder does it get? I think it improves the sound at lower RPMs. It adds a bit of growl while you are driving around normally, but never an amount that will annoy the neighbors. I’ve tried to give you a taste of the change in this next video. I have setup a sound meter (thanks Rob for the loan) about 18″ from the exhaust tip and measure the sound level with the bypass open and closed. With the bypass closed, the idle sound level is about 69 decibels (dB). With it open, the sound is closer to 72 dB. A little bit louder, but not straight pipes! Have a listen to the change. And this is a great video from guygittens where you can really hear the difference in the sound (even though its a V8 Vantage in this video, the change is similar to the DB9). Wanna see the actual valve and how it works? Here is a video of the actual valve under the car at idle, and I show how the diaphragm opens and closes, and you can hear the corresponding sound changes. Here is another good video of the valve in action while Fuse 22 still in place (courtesy of YouTube user AMG32). Is there any other way to uncork my car? I’ve read about two other ways people have approached this issue. You can disconnect the vacuum hose from the diaphragm. This accomplishes the same result (leaves the valve always in the bypass position since the vacuum never reaches it to pull it open). You should plug both the vacuum hose (to stop it from being a vacuum leak) and cap the opening to the diaphragm (allowing humidity and debris in to damage the unit). Sure, you don’t need to touch the fuse, but you need to take apart this other stuff and run the risk of some actual damage. I don’t see why to do this approach since the Fuse 22 is a much more elegant and clean solution. Another way it to replace your rear exhaust with an aftermarket system from a performance exhaust manufacturer. The whole point of the performance exhaust is to improve exhaust flow. This is a cool way to do it and probably improves exhaust flow a lot more, but it’s costly and maybe not a DIY job. I have an uncorked 2009 DB9 however I still am a little disappointed with the sound so I have gone a little further. I investigated cat delete pipes for secondary cats, there were 2options, straight pipes or xpipes and on research I decided on xpipes deleting secondary cats. This was done by a local expert (Rob Bliss Performance Exhausts) as I wasn’t happy just shelling out for branding. He did an excellent job the caveat being a little more power, faster rev up and back, but a smoother sound so still not what I was looking for. He did the work it sounded nice performs smoother/better but still not what I was looking for. I booked it in again and he removed the rear silencer it sounded great but too aggressive to live with. I researched all sorts of rear mufflers to replace the Oem but at 3k – 6k for name brands I thought it was ridiculous. 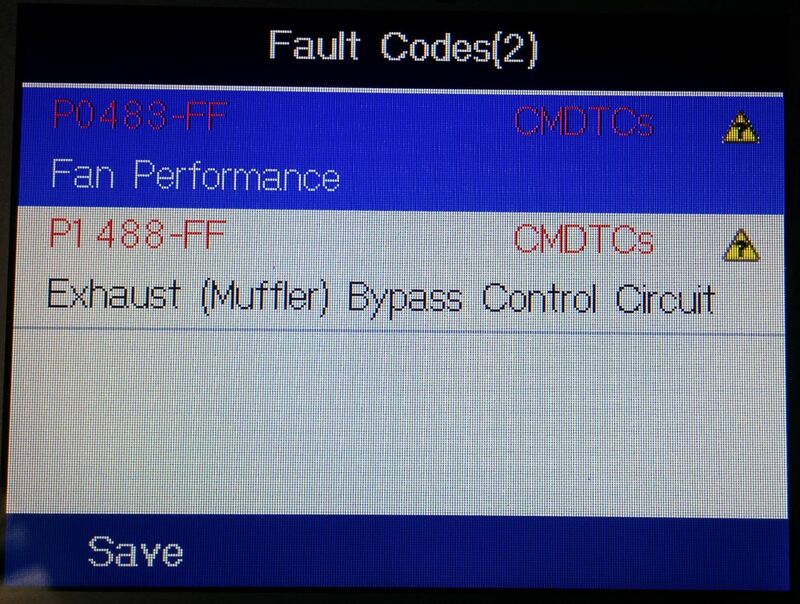 It is after all just a muffler. Bobs son Aaron came up with the solution of slicing off the top of the oem exhaust to see what can be adjusted. I have these photos for you of the surgery if you are interested. He then shortened the internal route by by passing some of the many internal pipes,welded in a new bypass, sewed up the surgery put it back together and now it sounds marvellous. Total costs labour and parts $750 for xpipe, $500 for surgery total $1250 which is the equivalent price for a name brand xpipe without install. The exhaust not on start up is sublime, at 3000rpm wonderful, and you get a throaty bark when upshifting and subtle crackles un downshifts. If you can send me your email address I will send you 3 photos with explanation of what Aaron did. 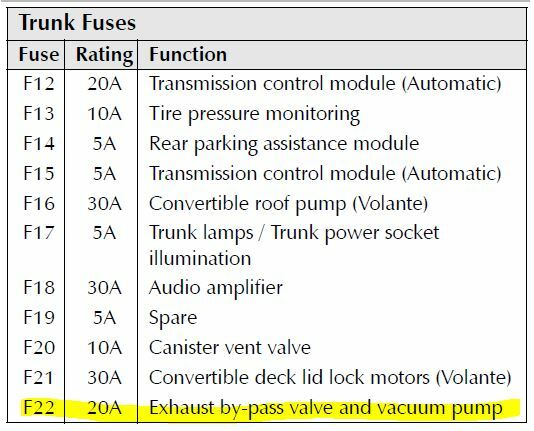 I have a 2012 AM Rapide and fuse 22 doesn’t say bypass valve, or fuse 15 either? Any idea what fuse it would be on Rapide manual dig ram of both fuse boxes don’t even show exhaust bypass valve!! Any help from someone ? I bought the wireless fuse replacement control unit but can’t find the right fuse? Hi Tony. Good question but I don’t have an answer. The Rapide is not my specialty. I did a little googling and searching at AMOC.org as well. I suggest you post it as a question on the AMOC.org Rapide forum, and maybe another of the other owners knows the trick. Wouldn’t surprise me if its done through the computer. Do you have to press the battery disconnect button under the rear seat before removing the fuse? I mean, to say, is there anyway you could get electrocuted doing this if you don’t know what you’re doing? Hi Chris. There is some risk always working around the fuses. Disconnecting the battery entirely would be the safest, but as you see in the video I just avoid touching the main terminals. They won’t kill you (12V DC isn’t even close). Just be careful, it’s easy. FYI: Sound intensity doubles for every 3dB change. And do does the smile on your face when you pull fuse 22 :>) Thanks for the input! Hi, Have a look at this youtube clip on an Aston Vantage GT8 with a remote control exhaust switch being fitted – Brilliant !!! After 10 years of being denied a DB9 due to life events, I am finally picking up a 2015 DB9 Carbon Edition this week. I have been told that uncorking my void the Warranty. Do you know this to be fact? I really enjoy your blog and because of your blog it urged me to have a chat with my wife of 30 years who is NOT a car lover. She said yes. It reminded me of an earlier time in our relationship. Thank you for any help you can give to me. Hi Greg. Glad you’ve made the jump, the car sounds awesome. I wouldn’t be able to tell you about your 2015, but back in the day of the early models the Dealers would actually do the change for you as part of vehicle delivery. Just ask them if they can/would uncork it for you. If its just a fuse (and its NOT the same as the early cars – that I am sure of) have them point you at it so you know for sure what to do, then pull the fuse yourself at home. Pop it back in any time the ‘warranty’ might be in question. Good Luck! Thank you so much, Steve. As you can imagine, I am super excited. I’ll see what they say. All the best and I will continue to review your blog. I’m interested to know why the valve was engineered to have a push rod to mechanically close and open the valve by hand (as I saw on your video). Can’t imagine, really, that this is to operate the valve in case the vacuum system is malfunctioning. Looks like an cheap enough item to replace. Woul you know?